With a bootylicious body like Beyoncé and a face that would put any top model to shame, Toi McKnight has all the cuties coming her way. Who could blame them? She was always rocking the latest fashion trends and hanging at every bangin' party in the city. But all that came at a price, and now Toi McKnight is the seventeen-year-old mother of a baby boy. Between bills to pay and adult responsibilities to meet, she's got zero time for sizzling gossip, chilling with her friends or doing the things she used to. So when unexpected sparks start flying between her and six-foot-two, deliciously fine Harlem, Toi knows she's got to dead any chance of a relationship fast since he doesn't date teenage mothers--and she's vowed to never love again. But every time Toi tries to cut Harlem loose, she falls harder for him. And all the other drama in her life doesn't help the situation any, especially when her son's father comes back around. Toi tries to do the right thing, but doing the right thing just may put her on heartbreak express for good. Introducing teen writing sensation Ni-Ni Simone. With a raw, fresh, and unmistakable voice, she proves herself a force to be reckoned with. Simone lives in New Jersey and is a graduate of Kean University. Options for Boys Lie by Belisa Vranich, Psy.D. Borrow Sample Click here to view eBook details for Boys Lie by Belisa Vranich, Psy.D. Ni-Ni Simone is a Jersey girl with an obsession for reality TV and celebrity gossip. She never intended to write teen fiction, but her editor and the literary gods had other plans. She whipped up her first novel, Shortie Like Mine, in two weeks, and has been in love with writing ever since. Shortie was the first of Ni-Ni's books to be selected by YALSA (Young Adult Library Services Association) as a Quick Pick for Reluctant Young Adult Readers, and it's also a Virginia Readers' Choice Selection. When she's not writing, Ni-Ni is soaking up inspiration from music, TV, and most of all, the teens out there hanging tough no matter what comes their way. Ni-Ni lives in North Jersey with her husband and their children. 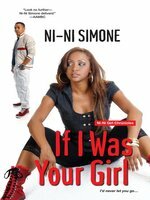 Visit her online at ninisimone.com, on Facebook @ NiNiSimoneOfficialFanPage, and follow her on Twitter @IamNiNiSimone.